Get your blood pressure check at your pharmacy – no appointment required. 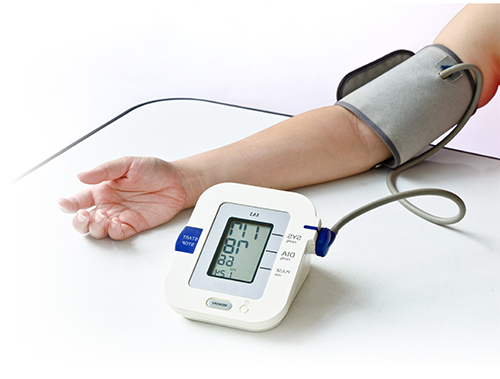 Our pharmacist is fully trained to measure your blood pressure. This is done in comfort and privacy in our private consulting room. The pharmacist will discuss the results with you in confidence and reccomend any further action you might need to take as a result of the check. Blood pressure is a measure of the force that your heart uses to pump blood around your body. Blood pressure is measured in millimetres of mercury (mmHg). The readings are given as two numbers or levels. The systolic reading is first, followed by the diastolic reading. For example, if your systolic reading is 120mmHg and your diastolic reading is 80mmHg, your blood pressure is 120 over 80. This is commonly written as 120/80. Is my blood pressure high, normal or low? Blood pressure can be high, normal or low. If you consistently have a reading of 140/90 or higher, you may have high blood pressure (hypertension). High blood pressure increases your risk of developing some health conditions, including cardiovascular disease. Generally, the lower your blood pressure, the healthier you are. As a general guide, the ideal blood pressure for a young healthy adult is 120/80 or lower. However, it’s possible to have abnormally low blood pressure. People with a reading of around 90/60 or lower are generally considered to have low blood pressure. For some people with low blood pressure, there may be an underlying cause that could need treatment.